How has becoming a Microsoft IT Academy and introducing Microsoft services such as DreamSpark, Office 365 and Yammer improved ICT opportunities for a typical student? I’m going to explain. My name is Jason Brown and I am a student at Wymondham High Academy in Norfolk, England. Currently, I am a Year 11 GCSE student with a passion for IT (both hardware and software) as well as photography, web design and multimedia. 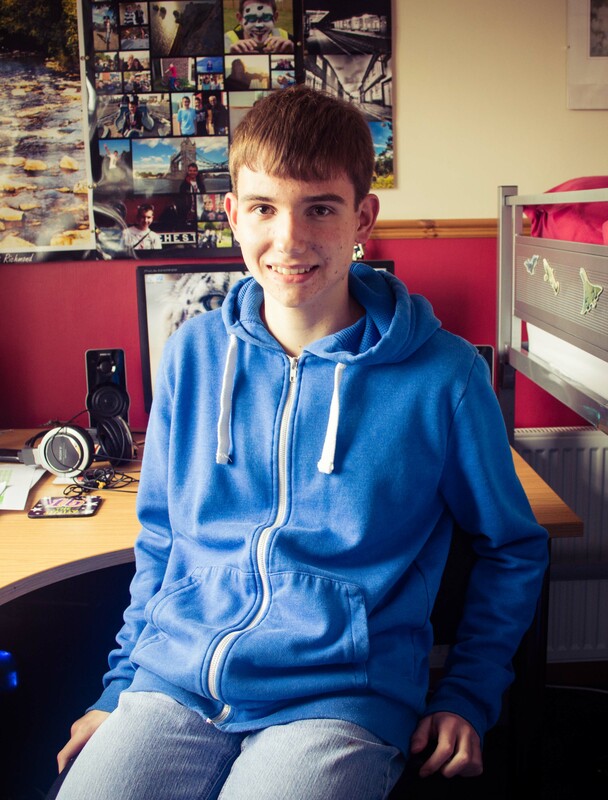 Come September 2014, I am hoping to go into Wymondham High’s Sixth Form and study Computing at A Level. Whilst the introduction of this A Level course (which is aimed towards those with a strong interest in computers and programming) is a great way to learn computer programming, why wait until September when I can start learning now? 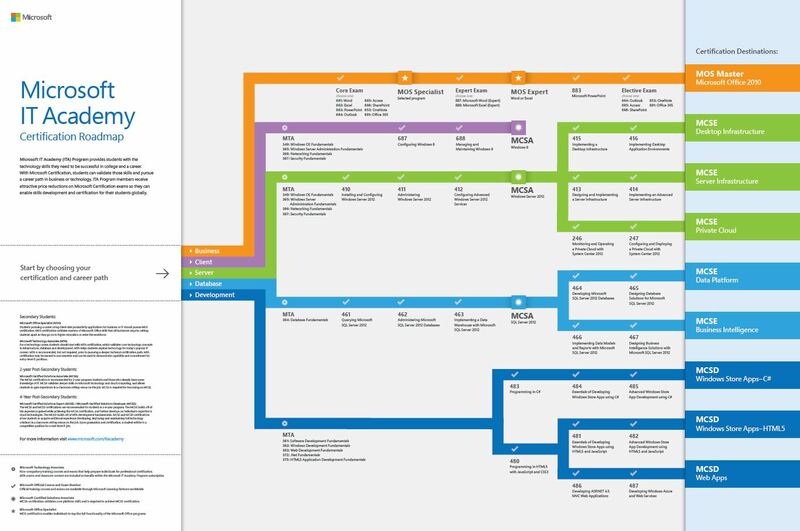 The Microsoft Qualification roadmap. All courses are available for students to complete for free. One of the biggest benefits which becoming a Microsoft IT Academy brings is the opportunity for all students to get involved with professional Microsoft Qualifications. There are several different qualifications which students can choose from, for example Windows OS and Office Fundamentals, Server and Networking Fundamentals and Software Development Fundamentals. These qualifications are highly sought-after and usually cost hundreds or possibly thousands of pounds to do (my father did an MCSE in Windows Server 2003 R2 Fundamentals around 10 years ago and paid a lot of money). The fact that students can now do these qualifications for free is simply amazing and opens doors to a future career in IT. Some of the best-paying jobs in IT will look for candidates with some of these qualifications. There are different levels which students can undertake, ranging from MTA (Microsoft Technology Associate) which is the most basic qualification (but still highly looked-upon), to MCSA and MCSE which are the higher qualification levels which you can progress towards once you have completed your MTA. I’ve been programming in Visual Basic.NET since the summer of 2010 and have used every version of Visual Studio since 2008. I am now undertaking an MTA in C# Software Development Fundamentals in order to ‘progress’ from Visual Basic.NET to C#. In order to aid me with my MTA, the school have provided me with a free copy of Visual Studio Premium 2013 which I am currently using to learn C# on (I am learning C# in two key ways, explained later). My first independent C# program open in Visual Studio 2013. This program simply backs up some files (notably websites I’ve created). I have obtained my free copy of Visual Studio 2013 through DreamSpark, which is a Microsoft service which the school provide and allows students to access all kinds of Microsoft software for free. 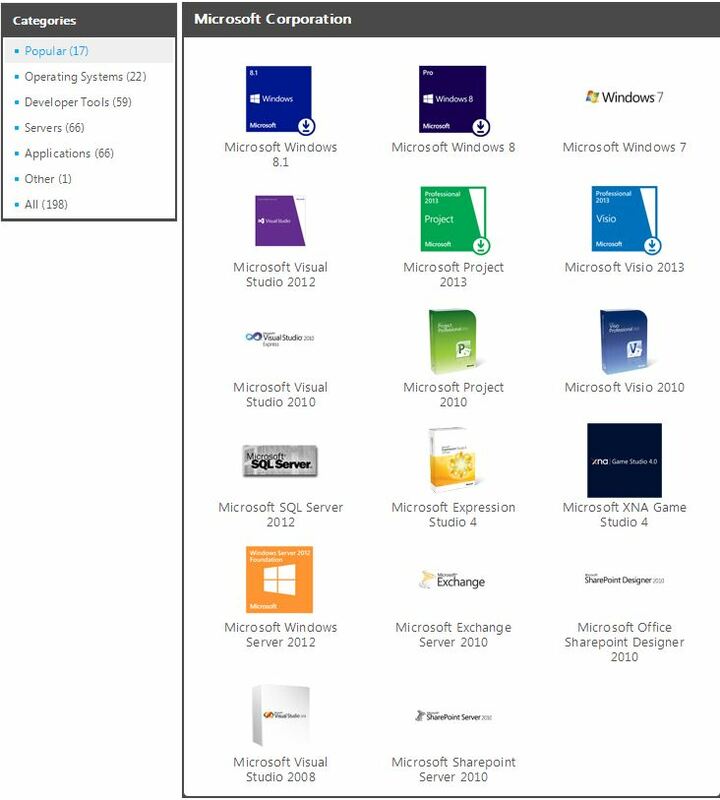 Software you can download ranges from Windows 8.1 Pro and Visual Studio 2013 to Autoroute 2010 and Windows Server 2012 R2 and even older software such as Windows 7 Professional and Windows Vista Business are all available to download for free. If I were to buy Visual Studio Premium (with MSDN) 2013 from the Microsoft Store today, I’d be paying £6,200 or thereabouts. From DreamSpark, I got it for free. This is fantastic because it allows students to take advantage of the latest software without having to pay for it, eliminating financial reasons as an excuse not to get learning. By not having to pay for the products, students can always be up to date and use the latest versions of their desired software for free. The brilliant thing is that there are multiple versions of most software online for students to download. So whilst I am using Visual Studio Premium 2013 on my desktop, I have also downloaded Ultimate 2013 to download on my laptop (when I get round to buying one). Visual Studio Ultimate (with MSDN) 2013 costs £13,500 to buy from the Microsoft Store, so by using DreamSpark to legally acquire free Microsoft software, I have already saved just under £20,000 on two copies of Visual Studio. There is easily over £100,000 worth of software for students to download and use for free, which is just astonishing. Very few companies currently offer services like this for students (in fact, the only other one I can think of is AutoDesk). I am still only in the process of learning C#, hoping to sit the Software Development Fundamentals MTA exam in August or September 2014. In order to start learning, I purchased a copy of John Sharp’s ‘Visual C# 2013 Step By Step’ (published by Microsoft) which is a great way to learn because it encourages you to complete the lesson files whilst reading. This is great for kinesthetic learners. I am also being taught C# and Visual Studio by somebody I know outside of school over Skype and TeamViewer, which sparked Kevin Sait and I to come up with a project we have called ‘School Without Walls’, allowing us to teach some of this content over the internet using Microsoft e-Learning software to children in local schools who do not have the same IT opportunities as those at Wymondham High do. We believe that where you are being educated is irrelevant: you should be entitled to the same opportunities and this is what our School Without Walls programme is all about. Some of the software available to students to download for free from DreamSpark. The introduction of Office 365 and Yammer is really beginning to take off at school. There have been several teacher training sessions recently and now the teachers are beginning to join Yammer. Yammer is great because it allows students to quickly, securely and easily contact their teachers. It is ‘the enterprise social network’. Kevin Sait and I use it frequently to talk and discuss things, for example today he sent me a message asking me if I would be interesting in writing this article through Yammer. Mobile apps available for Windows Phone, Android and iOS means that it doesn’t matter where you are, you are just a few taps away from getting help from your teachers should you require it. Office 365 is another fantastic addition. Students who may not have the money to go out and buy a copy of Office 2013 to use at home can now download and use Office 365 for free from the school. Again, like DreamSpark, this is fantastic because it eliminates any financial worries and allows students to keep on using the latest software and learning. Office 365 is a cloud-based service, and with their SkyDrive accounts (which the school are also providing), students can save documents on SkyDrive and work on them at home and school, having the piece of mind that it is being kept safe and protected. Documents saved on SkyDrive can also be viewed and edited on mobile devices too, thanks to SkyDrive apps provided by Microsoft for most major mobile platforms. With the advent of mobile devices such as smartphones and tablets, it is becoming increasingly important that documents can be created and edited on mobile devices. With Office 365 also comes some great blogging features, which students can use to blog about work they are doing in order to quickly share information. I am using Office 365 to create a blog documenting my learning of C# – you can read it here. The idea is that once I have put more content on my blog, we will be able to use it to show other students (not necessarily in Wymondham High) how a real student at Wymondham High achieved his MTA qualification – hopefully documenting the journey from writing ‘Console.WriteLine(“Hello World!”);‘ in Visual Studio to gaining the qualification. 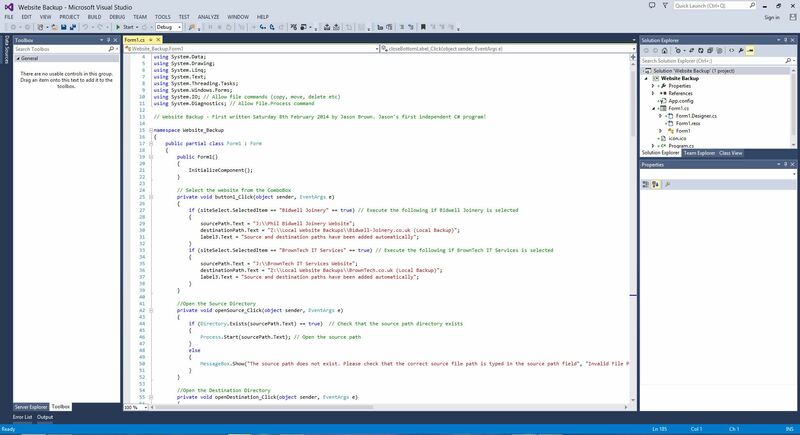 I have started by creating some videos explaining some basic c# code and also uploading some Visual Studio solutions so that users can download them, open them up in Visual Studio and experiment. The best way to learn is by doing – the best way to prove to somebody else that you know what you’re doing is by teaching. We use the SharePoint Web App to organise our online teaching resources within the school. This also comes as part of Office 365 and every student can access this. From here, students can visit Yammer, check their emails (using Outlook Web App), create bogs, visit the DreamSpark store and even download Office 365 for free (which was mentioned earlier). Students have been involved in the design of the WH-AT’s SharePoint Web App homepage, which you can read about here. The design of the SharePoint homepage has become a cross-curricular activity involving art students as well as our ‘Office 365 Team’ (who like to be known as the ‘O Team’). The design currently fits in with our black and lime green colour scheme which the school has. The design of our SharePoint homepage has been a cross-curricular activity, utilising the skills of IT and art students. Office 365 brings along some nice features, such as blogging facilities as well as a SkyDrive account for every student. On top of this, the school has purchased several Surface tablets which we aim to start using in lessons, and we are currently planning to roll out Windows 8.1 Enterprise over the summer (replacing Windows 7 Enterprise), ready for September when the new school year begins. We have already replaced Office 2010 with 2013 (for better SkyDrive integration), as well as replace Windows Server 2008 R2 on our terminal server with Windows Server 2012 R2. The school is always aiming to update its software, using the very latest to ensure maximum efficiency and reliability. Technology moves along at such a fast pace nowadays that the school needs to keep up with the software which students may already be using at home. To summarise, the benefits of becoming a Microsoft IT Academy and introducing these new services are available for everybody in the academy to use and enjoy, maiximising learning potential, whilst minimising cost. 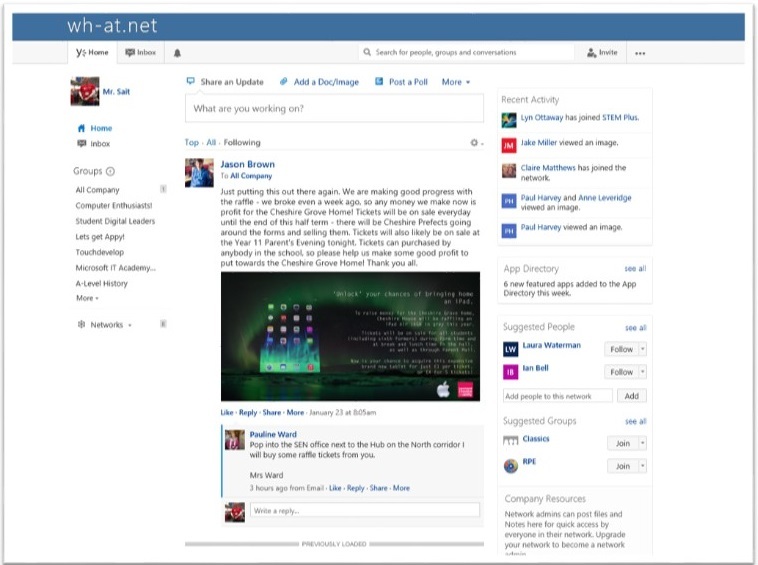 As part of our Office 365 rollout at Wymondham High Academy we deployed Yammer as an Enterprise Social Network in school. Yammer was part of the result of working with our students to define our VLE replacement. When we asked students how they used technology to learn things there was a common answer. The answer was ‘people send me stuff on social networks’ this was key to deploy a recognisable social platform for our students to communicate and generate ideas. Yammer itself is part of Microsoft which in turn is part of Office 365 which forms this extensible toolkit for student learning. Why have we deployed a social platform in our school, when a lot of schools steer away from social media? The answer to the questions stems from the development of social media recently and where it will be when our students leave the school and enter further education or the job market. Take a look at this video from Erik Qualmann called Socialnomics looking at the current state of ‘social media’ in society today. This shows us the state of ‘social’ now, so what sort of world will it be when our students join the workforce, how much more will social be part of our lives in 5 years time ? We feel that it is part of our school’s moral responsibilities to teach students about using real world tools in the correct context. This is a typical Yammer page for our school, looking very ‘Facebook’ in style, students and staff can simply get on and use it. The ability to post articles, discuss, share ideas and collaborate in a familiar platform has meant rolling this technology has been a very straight forward process throughout the school. As an Enterprise network, students have to have a valid Office 365 account, making it only available to people inside the school. Even though students can use the Yammer app on any of the mobile platforms to allow for anytime anywhere learning. It has also allowed the school to teach KS3 students about safe social networking and managing digital profiles effectively. Which, until now has been completed without giving students hands on time on a managed social platform. 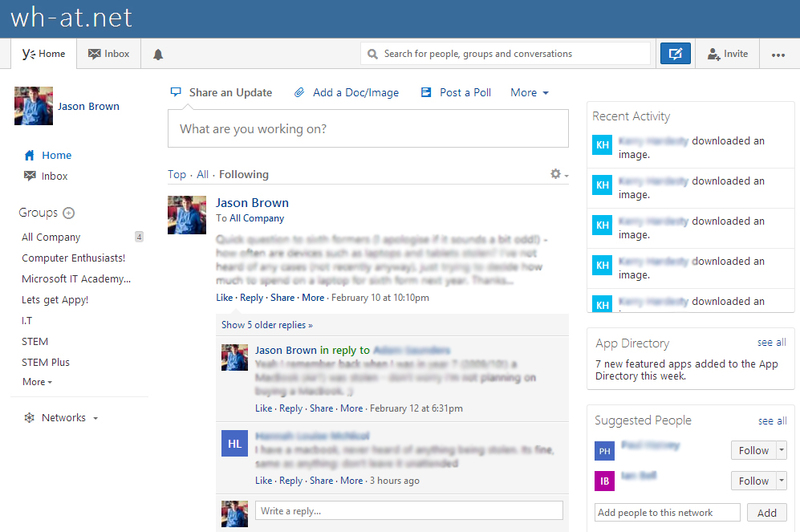 Yammer come in two forms, Basic and Enterprise. Yammer Enterprise is the full version which allows full control over the enterprise such as monitoring keywords, moderating posts etc. Yammer Enterprise was $3.00 per person per month. This was restrictive for our school with 1650 students, however from April 1st Yammer Enterprise will be part of Office 365 Plan A2 for free. A senior leader once said to me in a meeting ‘just because we can do these things with technology doesn’t mean we should do..’ with a well managed solution like Office 365 & Yammer, this surely means that with a moral obligation to our students, we should.